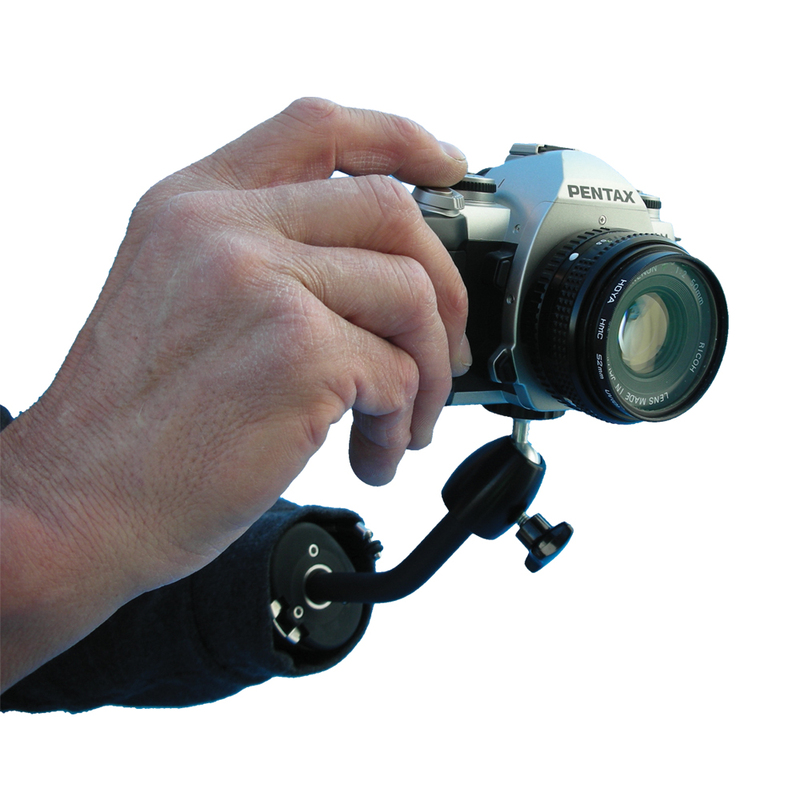 The Amp-U-Pod is a simple but versatile prosthetic accessory for handling 35 mm format cameras and video cameras. Adapts to any camera equipped with a standard tripod mount receiver. Supports the camera on a angular arm equipped with a pivoting, lockable tripod mount to facilitate photographing at a variety of angles. Aids in film changing, focusing, and shuttering. Solid and reliable. The Amp-U-Pod fits directly into the prosthesis and replaces your standard terminal device. (2.5 ounces, 6 inches long) 1/2 inch threaded, stud fits all standard body-powered, mechanical prosthetic wrists.